El CARLEE organiza el curso “IT IN THE ENGLISH AND CLIL CLASSROOM (SECONDARY)”, dirigido a docentes de secundaria, EOI y educación de adultos especialistas de inglés o que imparten su área en lengua inglesa. En él se trabajarán formas prácticas de integrar los dispositivos móviles y las herramientas online en el aula de/ en lengua inglesa. La inscripción se realiza a través de DOCEO, y estará abierta del 28 de marzo al 5 de abril. En este archivo se puede descargar la información completa. For the past few days we’ve been using QR codes in our lessons. They come in very handy when you need to share links, whether in the class or for home use. 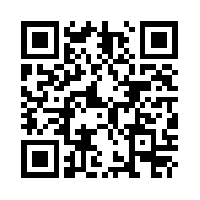 To convert a link into a QR code you simply need to use a QR code generator. There are plenty of free online generators, just google it and you will find lots. 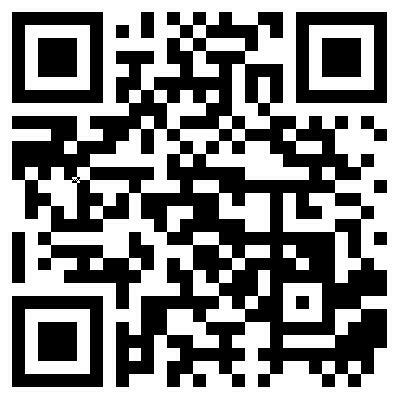 Then, you need to install any free QR code reader app. Again, there’s a great variety of free readers for Android and iOs. You open the app, and point your device camera to the code. It scans the code and automatically takes you to the website. Much easier than having to type a URL. We’ve been using it these days, for example, with our C1 group at the CARLEE, for reading comprehension exercises. Previously, we had listened to five restaurant reviews, and students had to take notes about what they heard. Now, they had to check the written reviews from Time Out London for the very same restaurants. But instead of printing the reviews, the codes were put up on the wall, and then students could stand up and scan them. Then, they read the reviews on their devices, and took notes as well, checking them against the previous radio reviews. With our B2 groups each code took them to articles related to healthy eating in schools, obesity rates in very young children…They had to read the articles, and summarise the main ideas. Then, there is some extra vocabulary work students can do in their own time. 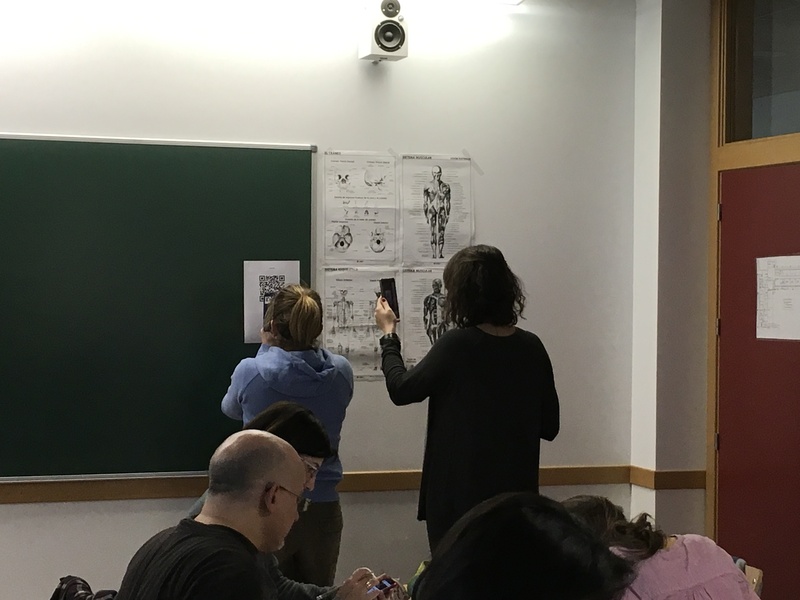 If you use QR codes in your classes, would you like to share your experience with us? What kind of activities do you do with them?